Like the rest of Florida in 2017, Southern Oak Insurance was glued to the screen for Hurricane Irma updates. We prioritized keeping our customers informed and safe with a strategic disaster plan. In addition to supporting our customers, our plan helped us successfully cope with the increase in insurance claims that followed Hurricane Irma. When it comes to your customers, nothing makes a better impression then a personal relationship. According to a Nielsen study, 70% of consumers trust online reviews more than any other form of marketing. Businesses that stay connected with their customers typically garner more positive reviews than those that are out of the loop, and technology has put multiple tools right at the fingertips of today's independent insurance agents. Consider these 10 ways to stay connected with established and potential clients on the Internet. 2016 has proven to be a great year for us all, and it's safe to say we've all worked hard towards our goals. As we look back at 2016, one thing is certain: family safety and security has been a top priority for everyone, especially our policyholders. Being an agent means you are your policyholders' go-to in regards to policy questions, resources, and information. As we enter 2017, we want to make sure your policyholders are as prepared as ever with resources to help them have a safe, happy and healthy new year. Please use these resources as guides to share with your policyholders, and help them enter 2017 with some new knowledge. Marketing for an insurance agency is a lot like marketing for any other type of business. If you follow the right steps, your online advertising efforts will be successful, you will get a lot of insurance leads, and you will build a successful and thriving online presence. However, this is easier said than done. If you're wondering why you can't seem to rank in Google search results, you may be doing something wrong. Rest assured, though, that most problems can be fixed. Here are 5 reasons your page might not be ranking, and how you can fix them for your agency's website. As an insurance agent, it is important to stay visible and engaged with your customers. One of the ways you can do this is by having an up-to-date website for your insurance agency that allows customers to find what they want, provide additional information, and gives them a reason to return. The best way to do this is by improving your SEO. In today’s market, it is important to utilize a number of platforms to engage your audience. 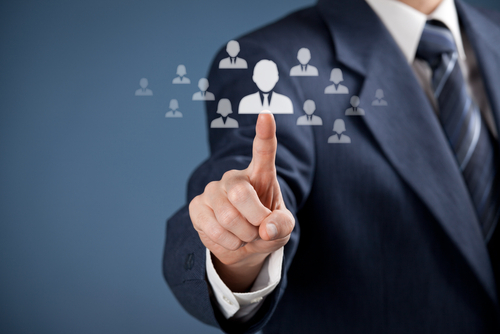 As an insurance agent, the more visible you are, the likelihood of increasing your customer database grows. Using social media platforms to connect is essential. Today’s home insurance customer wants complete interaction. Having an active Facebook page, Twitter account, and articles on LinkedIn is not only smart, but demonstrates that you are completely immersed in what is going on. As an insurance agent, staying connected to your clients is key. It is important to give your policyholders what they need. This helps build trust and loyalty. Sending them information through email is smart and beneficial to you and your clients. Homeowners want to know how they can save money and protect their investment. Having email in your marketing strategy is one of the most important things you can do. When you are really busy, sometimes you feel like you don't have time to get a blog post published for your insurance agency. 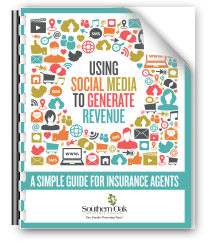 Here at Southern Oak Insurance, we encourage our agents to share blog posts that we've posted or that other agency's have, in order to give your customers good content. The only catch is to make sure you've given the writer credit. Follow this guide below on how to share a blog post on your social media platforms when you're running short on time.